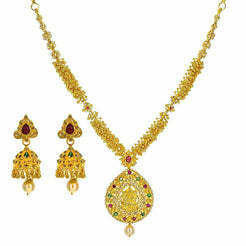 7.74CT Diamond Necklace and Earrings in 18K Yellow Gold W/Bisou Teardrop Link for women, Sapphire and Emerald. 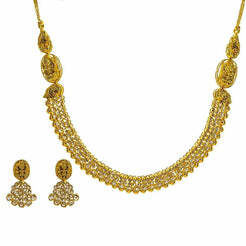 This stunning necklace comes with matching earrings and features oval settings of sparkling round diamonds. 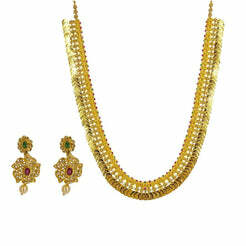 Gold weight is 48.35 grams.